Too many experience the desire to restore their neglected area rug. 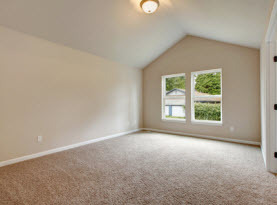 More often than not, the area rug you adored was marred from accidental substance spills that were not efficiently cleaned up, buildup of debris from minimal vacuuming, additional abuse from foot traffic, lack of professional maintenance, and expedited wear from neglect. At first, homeowners don’t notice the initial compacted filth and spots, until one day they realize the rug needed some TLC. 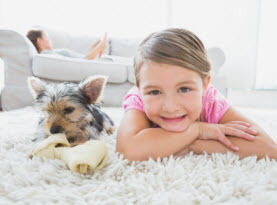 At this time, we at CA Carpet Cleaning and Water Damage Clean Up would like to offer some advice on restoring your rugs to their fresh and vibrant state. 1) Vacuum Area Rug. Overly concerned about the stains and the deep compacted soil, many people treating the rugs jump ahead of themselves but the first step is to remove the surface debris with a thorough vacuuming, both front and back. 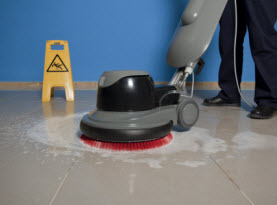 Do not skip the vacuuming; otherwise you could be dealing with a bigger mess. 2) Rug Cleaner Options. Read the label of your area rug to know of any specific cleaning directions and warnings. No matter if you use commercial premade cleaner or a DIY remedy, be sure to perform a patch test in an inconspicuous area to ensue the color isn’t altered or damage occurs. Below there is a few examples of effective DIY remedies. Brown Paper and Flour: Grease stains are better removed by generously sprinkling flour on the grease. Put a brown paper on top of the flour and weight it down; allow it to sit for 20 minutes. The grease will transfer on the brown paper. Mild Dish Soap: Mix together, in a squirt bottle for easy application, 2 cups water with 2 tsp liquid dish soap to make a general cleaner, good for most stains. Keep in mind, mild liquid dish soap can help cut through different substances and loosed compacted dirt. Adding it to your vinegar solutions can also boost the formula. Never use excessively or you can create residues that make things messier. Shaving Cream: Shaving cream can beat most stains, red wine for example can be dissolved after applying a moderate blanket over the top of the stain, let it sit for 5 minutes and wipe clean. White Vinegar: White vinegar is a multi-use ingredient as it can cut through a variety of stains, neutralize odors, disinfect germs, and other such uses. Vinegar does have the ability to lighten dye however, and should be used with caution. Severe stains can be used concentrated, or even with a squirt of dish soap, mild stains should be diluted with water to avoid altering the dye. Never use hot water to dilute the vinegar as it can set in stains. Mild stain use 1 part vinegar and 3 parts water, moderate stains use equal parts water and vinegar. 3) Rinse Area Rug. After the rug is treated with your preferred solution, always rinse the surface to prevent residue buildup and to avoid negative impacts. Mist the surface with pure water from a squirt bottle and blot the moisture or dampen a clean cloth with water and pat the surface of the rug. Never over saturate the rug or it could lead to mild, mildew, or other problems. 4) Dry Area Rug. Use a clean, dry towel to pull up the moisture. If you have a ceiling fan, ensure it is on and maybe open a window if the weather permits and make certain the rugs are able to completely dry. 5) Vacuum Area Rug. Once you are satisfied with the results and the rug is fully dried be sure to vacuum the rug. 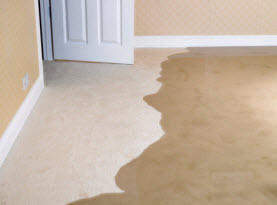 CA Carpet Cleaning and Water Damage Clean Up have the specialists readily to get your rugs looking amazing. We will clean, sanitize, and deodorize your rugs to restore them back to the original state. Contact us to learn more.